Designed with a modern style and strong build, this vanity is a perfect choice for any bathroom. The beige tan marble counter and brown solid wood base make a beautiful look in your bathroom. Room is no problem with this vanity because it comes with a double-door cabinet and drawer. Put a classic feel in your bathroom with this good-looking set from Art Bathe. Enjoy the popular traditional look in your bathroom with this beautiful vanity. With a beige tan marble counter and brown solid wood base, this piece is very stylish. The simple look of the double-door cabinet and drawers is useful and classic. Put a nice touch on your bathroom's look with this vanity set from American Imaginations. Use this vanity to bring more modern style into your bathroom. Made with a special brown solid wood base and a grey marble counter, this piece will make your bathroom look even nicer. There's plenty of space for items in this vanity's drawers and double-door cabinet. Put a nice twist on your bathroom project with this classic piece from Art Bathe. 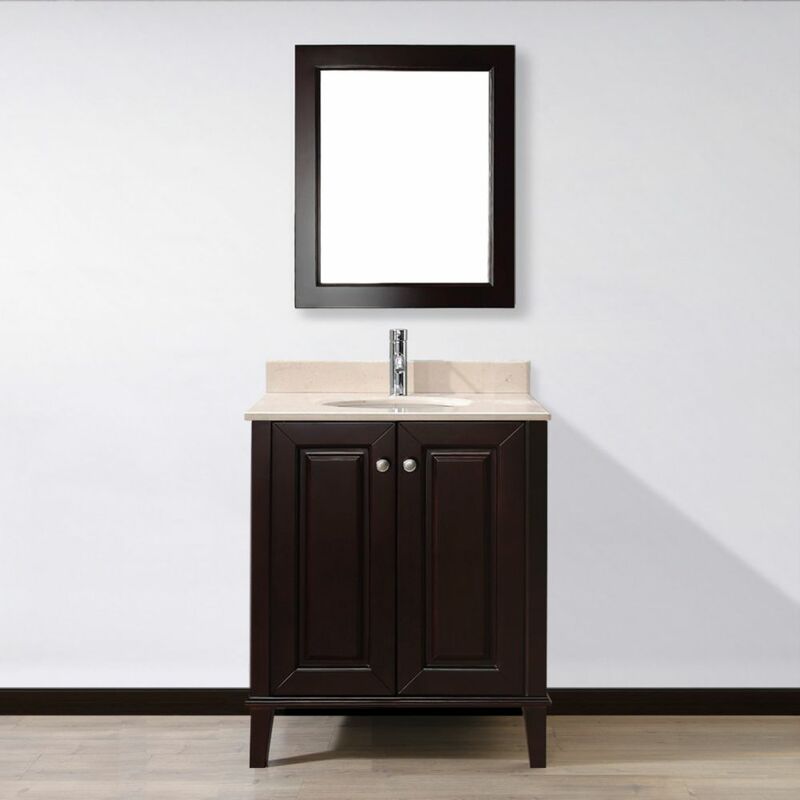 Lily 30-inch W 1-Drawer 2-Door Vanity in Brown With Marble Top in Beige Tan With Faucet And Mirror Designed with a modern style and strong build, this vanity is a perfect choice for any bathroom. The beige tan marble counter and brown solid wood base make a beautiful look in your bathroom. Room is no problem with this vanity because it comes with a double-door cabinet and drawer. Put a classic feel in your bathroom with this good-looking set from Art Bathe.